The organisation is the UK’s leading landlord body – according to the NLA, but no membership figures are available on the web site to support the claim. 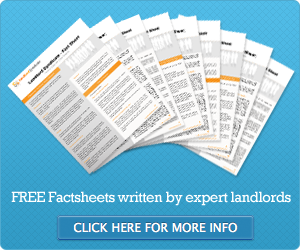 Their main rival is the Residential Landlords Association (RLA). So what do landlords pick up in return for paying a memberships subscription to the NLA? Membership costs from £98 a year (October 2011) and discounted packages are available for longer terms. The NLA web site is open to members who log in and offers a range of free advice and tips aimed at helping landlords understand their rights and responsibilities. These include a landlord library and development manual. Other benefits include six copies of UK Landlord magazine each year and a telephone advice helpline that deals with thousands of calls every month. Much of this information is online elsewhere for free. The organisation is also a commercial body. The NLA agrees deals with providers offering discount landlord services – like mortgage lenders, insurers and tax advisers. Most NLA services are available direct from providers, but often at an enhanced cost. Is the NLA value for money? The argument against joining the NLA for most landlords is whether they make at least £98 a year back on the free services and discounts. Busy landlords who do not have the time to shop around for the cheapest services may well consider paying the membership fee is well spent if they can find what they want in a ‘one-stop shop’. Others may baulk at the cost if they feel they are not receiving a tangible benefit.